Anyone who’s been touched by the disease knows this. And yet, sometimes the only thing you can do to cope is laugh. 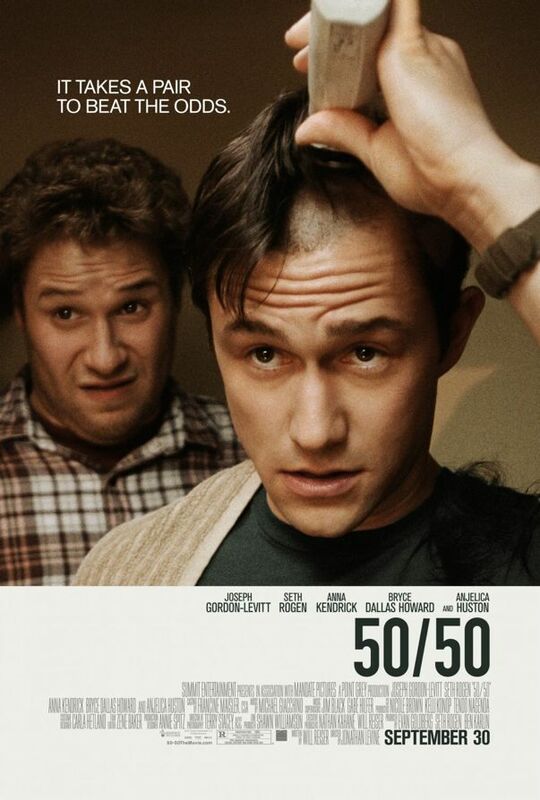 That’s the crux of the new movie 50/50, the story of Adam (Joseph Gordon-Levitt), who at 27 learns he has cancer. The film was written by Will Reiser, and is loosely based on his own experience — both with the disease and with his best friend Seth, who had a hard time dealing with it too. Seth is actually Seth Rogen, who costars in the movie as Kyle, and who attempts to bring much of the comic relief to the film. That pretty much tells you what kind of “cancer movie” 50/50 is; it’s not one that wants to make you cry. Instead, it’s a buddy movie that shows how hard it is for guys to communicate real emotion, even when the emotions they’re dealing with are so very real. Which is not to say the movie doesn’t have emotion. As Adam, Gordon-Levitt gives a nice, sensitive performance that captures his inability to understand what’s happening to him. And as Adam’s mother, Anjelica Houston gives a brief but realistic performance that avoids cliche. No tears are shed and Adam does beat the odds (no spoiler there; Will did write the movie, after all), but thanks to Rogen, the movie unfortunately remains a bit unwell. So I’m just going to give 50/50 a B.